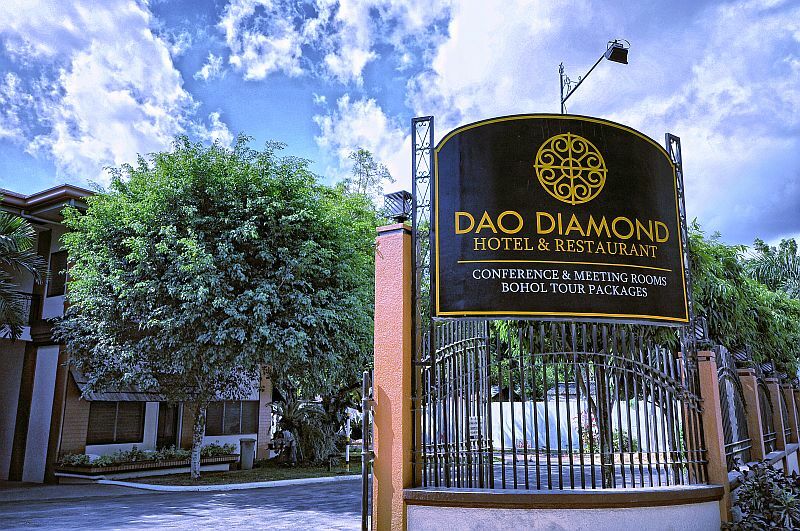 "The home of the lowest tour packages domestic and international"
Dao Diamond is owned and operated by Bohol Dine and Sign, Inc. for the benefit of the deaf children in the islands of Bohol and Leyte, Philippines. The hotel helps to support the children and provides jobs for the Deaf, allowing vacationers to help those in need while enjoying a delightful setting. At Dao Diamond Hotel and Restaurant, guests are greeted and served by friendly, highly attentive staff. Every effort is made to make guests feel comfortable. To do so, the hotel provides the best in services and amenities. Prices and room availability are subject to change without prior notice. Mode of payment will be advised for confirmed clients. 10/F Fort Legend Tower, 31st St., BGC, Taguig City, M.M.